Are Eggs Nutritious for My Pet Bird? Are Eggs Really Good for My Bird? It sounds a little odd to feed eggs to parrots. After all, parrots are birds and they lay eggs to procreate. But it really isn’t at all unusual for birds in the wild to eat other species’ eggs. Eggs are really nutritious and animals of all kinds will steal eggs if they can find them. Rats, foxes, and polecats, and hedgehogs will all go after an egg if they can find one. Crows are notorious egg thieves and how they consume a wild egg is pretty interesting. They make a small hole in the shell by piercing the shell with their beaks on one end or on the side. They then insert their upper beak into the egg and lift it up so the contents are drained into his beak. Gulls are known to eat eggs as well and they don’t even bother trying to fly off with it. They simply settle in on the nest where they found the egg and eat it right there. Eggs are a powerful food that feeds the brains of these sharp creatures. It takes a certain amount of intelligence to survive in the wild, so a meal from an egg is a good choice. Egg yolks contain choline which is a serious brain food because it makes rapid thinking far easier by speeding up the relay signals in the brain. The choline found in eggs also aid liver function and transferring and distributing nutrients throughout the body where it is needed. The protein found in an egg is also a valuable ingredient because protein contributes amino acids to help the brain function. It does this by creating neurotransmitters which deliver the messages to the neurons which allow that quick thinking needed in the wild for survival. The typical chicken egg is made up of about 12% protein. The eggshell is an excellent source of calcium which is sparse in the wild. This calcium is valuable to a bird because a female is going to need it if she lay eggs of her own. The calcium she consumes helps form a stronger shell for those eggs she wants to lay. She has to seek it out any way she can and eggs are a pretty easy way to get it. That egg isn’t her egg so she really doesn’t care about it. All that wild bird cares about is feeding herself and laying healthy eggs with strong shells. An egg also contains all of the essential amino acids. An essential amino acid is one where the body cannot manufacture it on its own. It must be absorbed by consuming food that contains those essential amino acids. Years ago, it was thought that eggs were extremely high in cholesterol. However, the United States Department of Agriculture (USDA) has learned since this original finding that eggs aren’t that high in cholesterol after all. They learned that the cholesterol in an egg is actually 14% lower than they originally thought and that eggs contain more Vitamin D than originally thought by an increase of 64%. Eggs are a completely natural food and they have no carbohydrates and no sugar. And if you think about it, they contain only one ingredient: Egg. 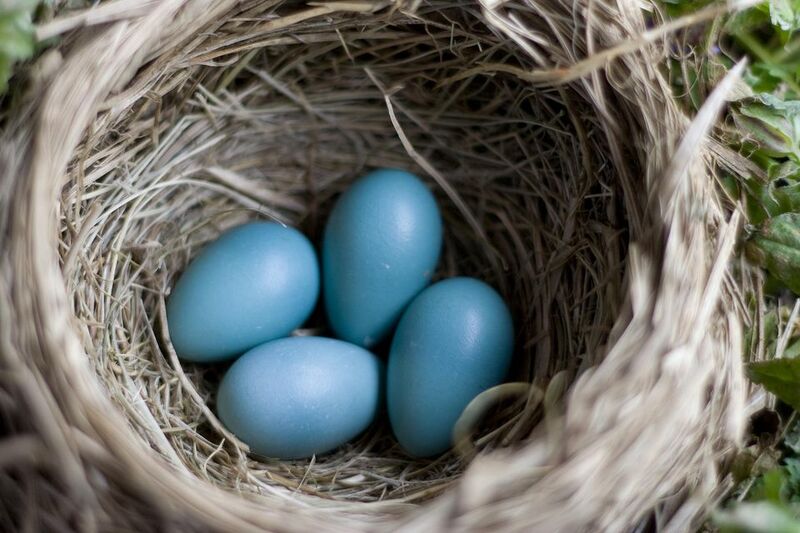 Eggs are an inexpensive form of protein and birds can eat the entire egg: the white, the yolk, as well as the shell. Cleaned and packaged crushed eggshell is available on the market and available to companion bird families who are interested in feeding the shell to their flocks to increase their calcium level. Twin Beaks Aviary has a product called Hatched!™ Eggshell. It is a source of 100% calcium and it’s available online if you are more interested in feeding just the shells rather than the entire egg. The eggshells are cleaned and sanitized and they do frequent batch testing so there is no need to worry about any contaminants. The makers of Hatched!™ are concerned about adding supplements that may not be needed by your bird. So they offer this product as a way of allowing your bird to choose to eat it should she feel it is necessary for her. Eggs are good for your birds, but as with anything, moderation is key to a healthy flock. Chia Seeds: How Do They Benefit My Pet Bird? What Is a Cuttlebone? Does My Bird Really Need It? What Healthy and Tasty Treats Do Birds Love? Should I Feed My Bird Seeds or Pellets?